Oh! I am thrilled! Thanks so much for this reward, but even more thanks so much for giving us a way to continue steemin' even when people were having difficulties with all the Steemit glitches. Esteem was always reliable. Not yet. Be paitent! It will happen!, it is a busy time right now. You've got your SBD now? Hello @good-karma, I am more excited that update is coming soon. I hope IOS app will be more stable. Thank you @good-karma. Appreciate all the hard work, and even handing out rewards. Thanks. Im looking forward to try out the new version soon. Esteem is really great app. It is easy to use and some of the features are so helpful. Hope to see more updated features in the future with this app. @good-karma, really well done. This is one of the easiest way to post on steemit and makes amazing experience to use. am excited to work in esteem!!! CongratZ the winner, I have installed esteem and looking forward to the contests. Nice. Will try it out. 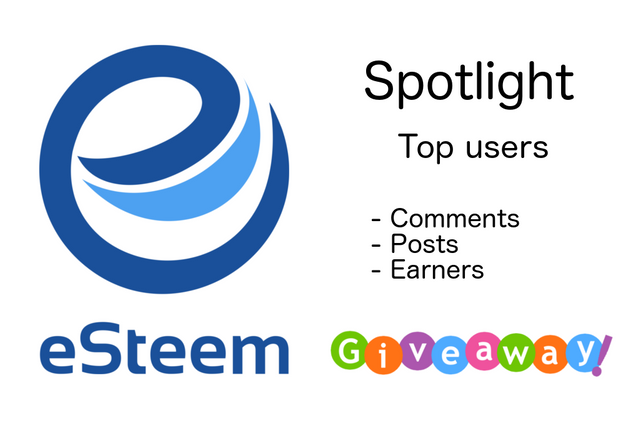 esteem is a lovely platform for steemit users,especially for minnows who earn guaranteed $1 per day for posting and commenting. Most of the new users give up using steemit.com because they don't get rewards easily. esteem us a saviour for minnows. Post of the day.Congratulation my friend. Awesome post @good-karma and congratulations to the winners, I am inspired to start using this platform. 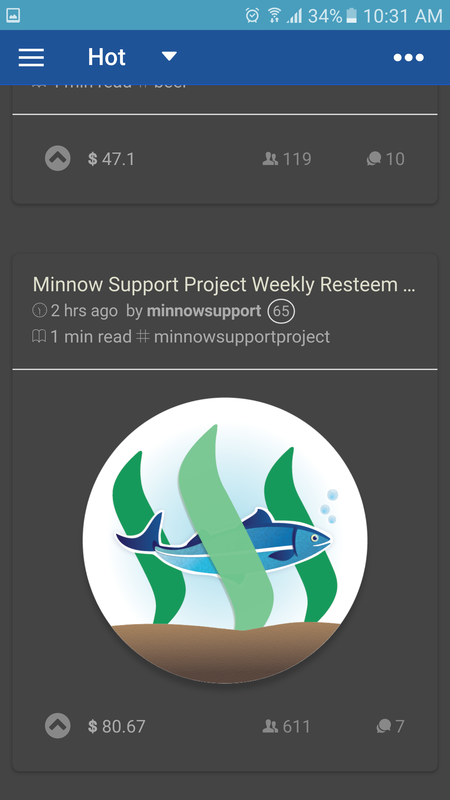 such an helpful app for browsing steemit! @good-karma can you please let me know if esteem is application version of steemit or its different from steemit? Thanks for upvote@good-karma, good luck.. The prize is interesting, but when does it come to the winner? wow! I didi't know about it.THANK you very much. its very helpful, now I dont have to go through many troubles. Not just me alot of others too. thanks sir. Men! This is awesome, using an application for free and also receiving rewards for using it, steemit is changing our world without many knowing it. Congratulation to the winners, WOW! This is cool and convenient way of using Steemit on your device. Will definitely try this one out! :) Thanks! It's really a great initiative, I just had a look at it. I'm also looking for Web interface (webapp) so that it'd be more great fun. I'm thrilled and excited to see such a good interface of mobile app. You have done tremendous job. I am a newbie and I am happy for this info. I am waiting for the new version to arrive and download it. I downloaded the app and started using it but it was very slow in my smartphone. So uninstalled again. But seems that it is working well for others. That means problem in my phone? Waiting for the update. Curious what you developed there. Wow... done read faq esteem.. seems like esteem more user friendly via phone user. Congratulations to all the winners of this great initiative! Thank you @good-karma 😀 even I am not one of those winners I am also a winner because of your auto-vote most of the time I am using eSteem 😀 Thank you so much! More blessings to you. i love the esteem app mostly to upload pictures in the blogs with! Congratulations @geetharao for this achievement! It was an absolute delight to see your name in this list. i definitely follow what is best and what i do i like iformasi thank you. @ good karma. Thanks for sharing this free giveaways to us. From the past two days I am not getting upvotes on esteem app for posting and commenting,while the other users are receiving upvotes. Glad to read this post as I didn't know about the contest, I think I will try to use the app in commenting so I could have a chance to win. i am very very thankful to you.. thanks for everything!! Awesome. Writing a well thought content is fun! When the Desktop version will be updated?I don't use phone.So I can't use eSteem app. I'll follow you. and follow me. very nice infoo.. . lets keep upvoting each other daily..
eSteem is awesome. I love it. Now I use it more than anything else that I've used to - different browsers, different steem-access web sites, desktops, laptops. While using it a lot and having some software background I might provide some feedback, if interested. Especially when it comes to bugs, crashes, freezes, maybe some inconsistencies and potentially improvements from the user point of view. I don't want to intrude or provide unsolicited advice, but if interested, I'd be more than happy to help. And regardless, thank you for the big work that you've done so far and please keep it up. I'm Looking forward to new versions.